A free to play card game with fantasy elements as seen in the franchise RuneScape, players will go head to head against each other as different character classes and be able to build their own decks to compete in ranked play, dungeon runs or play just for fun. With hundreds of cards to collect the unique mechanics in the game allow for some exciting strategy, all built with stunning 3D visuals to bring you to the game table! The core of the game is a card collecting game where players will go into one on one head to head bouts across five battles in an attempt to defeat each other's heroes; using a variety of cards from their deck players must try to defeat their rival whilst they make their own Chronicle champion stronger. 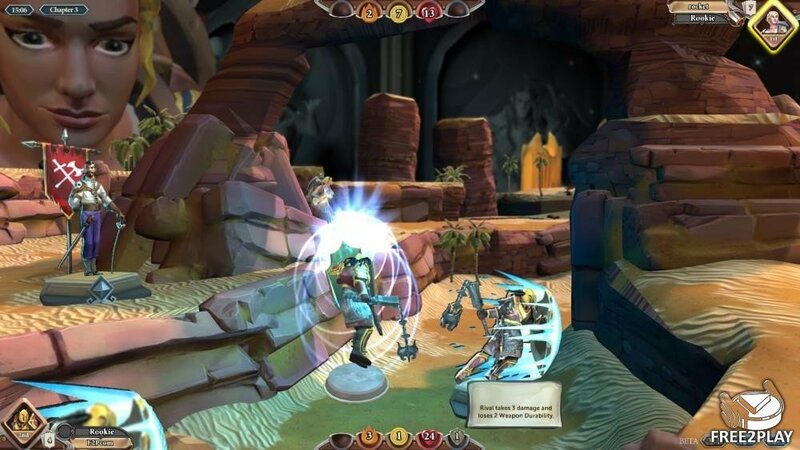 Unlike most other TCGs and CCGs Chronicle: RuneScape Legends has a unique spin on the card genre and instead of playing cards to go against their opponent, each card played by the player is put in front of their own Chronicle hero as an obstacle to overcome in a series of battles across various stages. By defeating cards in their path a player can gain hitpoints, extra damage, armor, weapons, or coins, all of which improve their Chronicle to help them defeat stronger cards; similarly some cards will directly attack the rival, or hinder them in some way. The objective is to try and reduce the rival players' Chronicle's hitpoint to 0 during the battle, which will win the fight, however if both Chronicles reach the end of the fifth stage then they have a showdown against each other. Support Cards – Support cards do not need strength to overcome them and Chronicle's do not need to fight them, they do however need to spend Gold coins, which are dropped from defeating most creatures and some Support cards. Creature Cards – Creature cards must be fought in battle, they have a hitpoint pool and an attack value; players will always hit the Creature card first, but some creatures have lots of hitpoints and high attack values. Most cards have a text effect when defeated, such as allowing the player to reduce the health of the next Creature (so placing this card before a particularly strong creature is a good idea), drawing extra cards, damaging the rival player directly, and more. The order in which cards are placed and fought is extremely important. 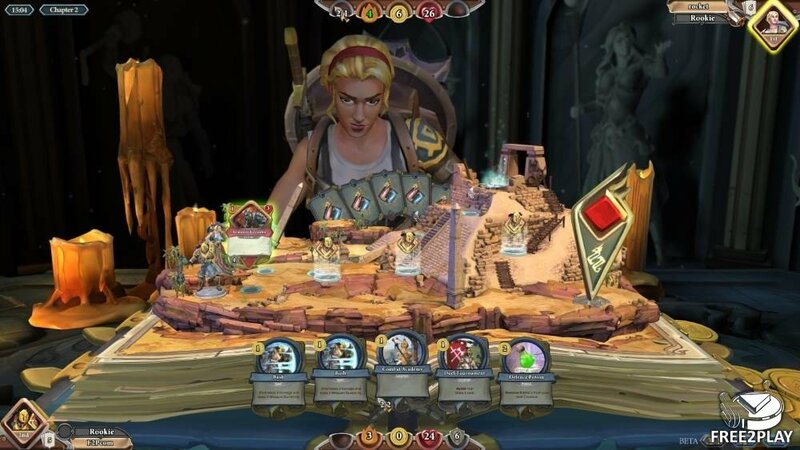 The Game board consists of five impressively designed 3D maps; there are two paths, one for each hero to make their way down, and on this path four positions for each player to place a card in front of their own Chronicle Hero before the round starts. 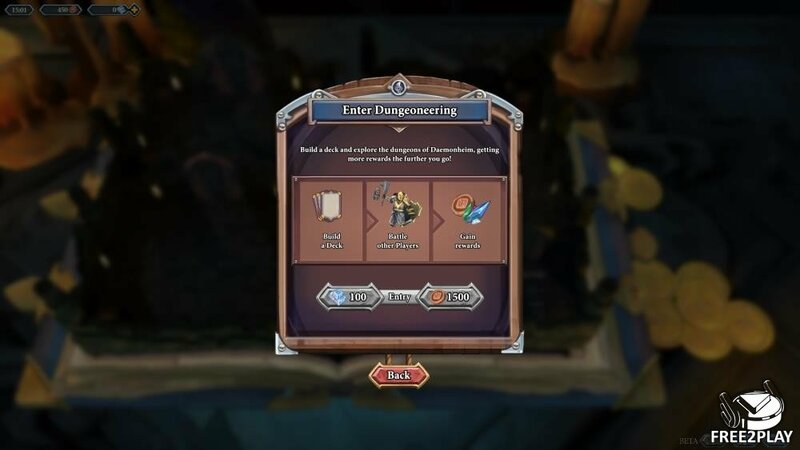 When the game starts the Chronicle's will fight these cards in order, however, players can only place a card onto the map if they are able to defeat it when they reach it. If a Support card requires 4 gold coins to get passed it, then the player cannot place it on the map if their Chronicle has only collected 1 gold coin. 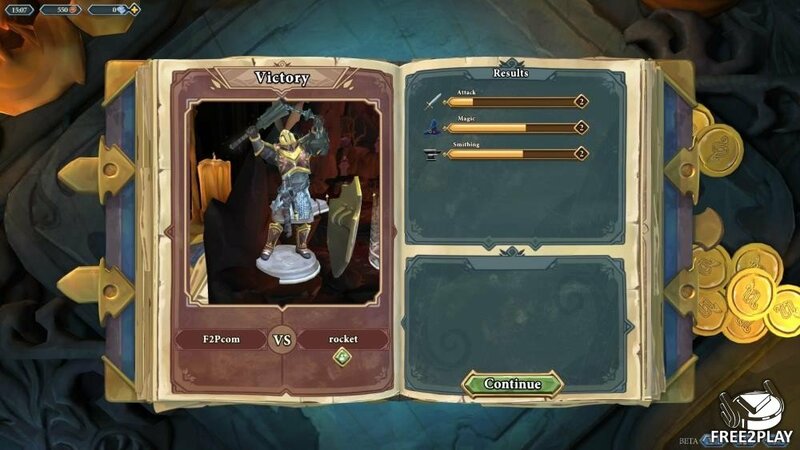 However, if the player places a different card that, when defeated, rewards the Chronicle with an extra 3 coins then they would be able to place the 4 gold cost Support card after it as they would be expected to have 4 coins when they reach it. Whilst placing cards in a set order will help your own Chronicle to advance through the stages, the greater strategy is using them to try and hinder your opponent. Defeating a card that reduces your opponents Armor right before you think they might be fighting a stronger Creature can seriously weaken them; or stealing their Coins just as they reach a high cost/high return Support card will mean they don't get to trigger that cards effects.